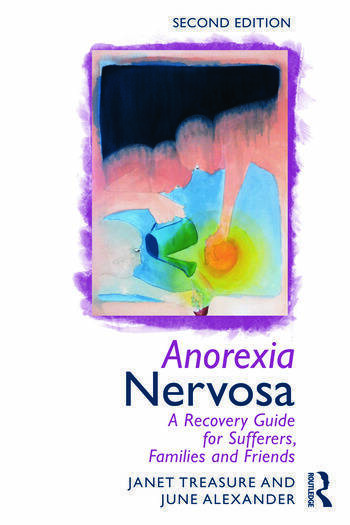 The highly respected and widely known Anorexia Nervosa: A Survival Guide for Sufferers and Friends was written in 1997. This long-awaited new edition builds on the work of the first book, providing essential new and updated research outcomes on anorexia nervosa. It offers a unique insight and guidance into the recovery process for those who suffer from an eating disorder as well as advice and information for their loved ones. Written collaboratively by both an expert in the field and someone with personal experience of eating disorders, this book offers exceptional understanding of the issues surrounding the illness. guidelines for professionals who are involved in the sufferer’s life. Acknowledgements. Introduction. About the Authors. Section I: An Overview. What is Anorexia Nervosa? Avoid the Blame Game. Centuries of Trying to Understand Food Refusal. Section II: For Sufferers. Starting the Recovery Journey. Understanding Your Self. The Dangers of Anorexia Nervosa. Body Composition and Nutrition. Digging Deeper: Understanding Personality Patterns. Links in Generations. Recovery IS Possible. Section III: For Families, Carers and Friends. Helping to Eliminate the Eating Disorder. Pulling Together as a Family. Confronting the Eating Challenge. Recovery is More Than Gaining Weight. Section IV: Guidelines for Professionals. Guidelines for Therapists and Carers. The Family Doctor – Making a Diagnosis. Guidelines for School Staff. Where to get Support. Appendix. Janet Treasure, OBE, PhD, FRCP, FRCPsych, is Director of the Eating Disorder Unit at South London and Maudsley NHS Trust, and a Professor at Kings College, London.